The Nutcracker and the Four Realms,” Clara travels along a golden thread, presented at Drosselmeyer’s (Morgan Freeman) annual party, eagerly searching for a one-of-a-kind key that will unlock a music box that holds a priceless gift. We love this movie and I am so glad it's finally on blu-ray and DVD! I have been waiting months for this to come out, because I wasn't able to see it in theatres. 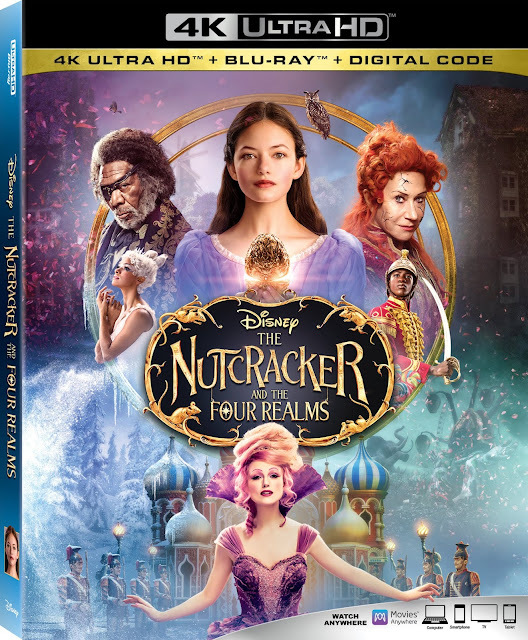 You'll love it if you're a big Nutcracker fan.